When it comes to the Fed, Congress is mired in hypocrisy. The anti-regulation, de-regulation crowd on Capitol Hill shuts its mouth when it comes to the most powerful regulators of all – you and the Federal Reserve. Meanwhile, Congress goes along with the out-of-control, private government of the Fed—unaccountable to the national legislature. Moreover, your massive monetary injections scarcely led to any jobs on the ground, other than stock and bond processors. 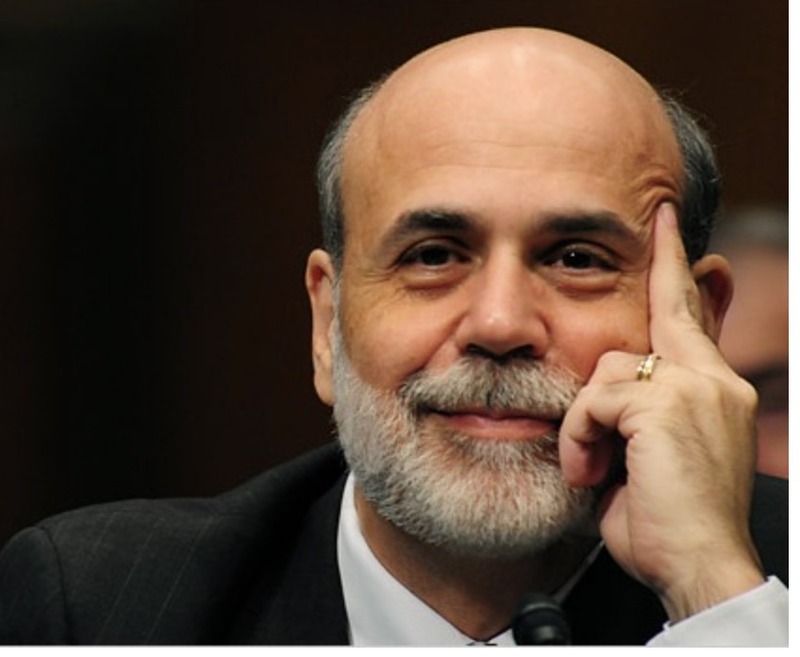 If I had to choose one single institution and one single individual most responsible for the weak, putrid and unbelievably corrupt oligarch-controlled U.S. economy, I would choose the Federal Reserve and Ben Bernanke. The central planners at the Fed have systematically funneled trillions of dollars into the pockets of those who least needed and deserved it least, and in the process served to further enrich and entrench a criminal oligarchy while pounding the middle class into oblivion. What’s worse, the financial armageddon faced thus far by the 99.99% is just getting started. Thanks to the 0% rate targeted by the Federal Reserve, pensions simply can’t get a decent return without moving further and further out on the asset management risk spectrum, and even then, it’s still not sufficient. What it means to be a successful investor in 2016 can be summed up in four words: bigger gambles, lower returns. Thanks to rock-bottom interest rates in the U.S., negative rates in other parts of the world, and lackluster growth, investors are becoming increasingly creative—and embracing increasing risk—to bolster their performances. To even come close these days to what is considered a reasonably strong return of 7.5%, pension funds and other large endowments are reaching ever further into riskier investments: adding big dollops of global stocks, real estate and private-equity investments to the once-standard investment of high-grade bonds. Two decades ago, it was possible to make that kind of return just by buying and holding investment-grade bonds, according to new research. The amplified bets carry potential pitfalls and heftier management fees. Global stocks and private equity represent among the riskiest bets investors can make today, Mr. Kloepfer said. Not to mention what often amounts to investing in criminal schemes. Recall: SEC Official Claims Over 50% of Private Equity Audits Reveal Criminal Behavior. Bonds historically produced a source of safe, good-enough streams of profit that allowed long-term, risk-averse investors to hit annual targets. The era of low rates has all but erased that buffer. The absence of a few extra percentage points of yield means investors must now compensate by embracing unsafe bets that could strike big—or flop. The Callan report highlights how risky an endeavor that is. Many large investors aren’t gambling that big—and their returns are lagging well behind internal targets. The nation’s largest public pension fund, the California Public Employees’ Retirement System, has one-fifth of its assets in bonds and is down 1.3% since July 1, according to public documents. The system, known by its abbreviation Calpers, also has 53.1% of its assets in stocks, 9% in real estate and 9.4% in private equity. In 2015, Calpers posted a return of 2.4%, below its target rate of 7.5%. The risk dilemma for investors has real-life consequences. Retirement plans, including Calpers and the New York State Common Retirement Fund, are lowering what they predict they can earn on their investments, a move that means workers and cities likely face higher contributions and taxes. For insurers, lower bond returns mean life-insurance policyholders pay more for coverage. Guess who ultimately gets shafted because of all this? Yep, you guessed it. The average American citizen. Cheaper borrowing costs generally spur new investments from companies or consumers. But instead, global production is flat or declining, and consumers face stagnant wages that crimp their ability to spend.